In 2012 the Men’s Physique category was officially launched as a category in the IFBB. 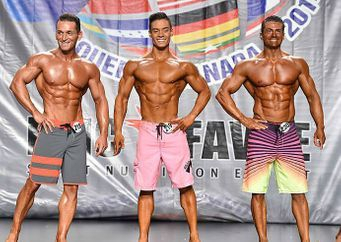 This category has gained popularity within a short period of time, as a result IFBB has increased the classes in the Men’s Physique to four height classes. This category is aimed at men who do weight training, keep fit and eat a healthy balanced diet and prefer less muscular, yet athletic and aesthetically pleasing physique. Contestants display an eye pleasing shape and symmetry combined with some muscularity and good overall condition similar to that of fitness models. The athletes should have stage presence and poise and their personality and ability to present themselves on stage with confidence should be visible. 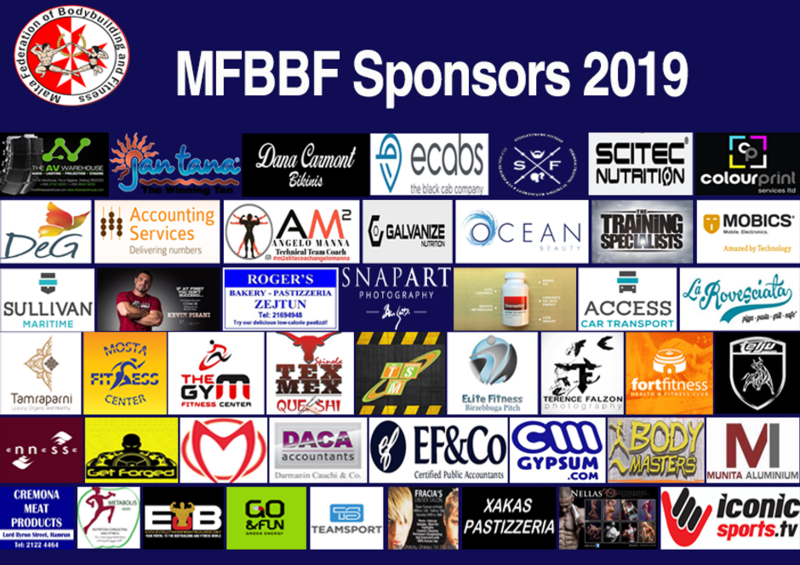 In 2016 IFBB introduced the Muscular Men’s Physique Category which is intended for competitors with slightly bigger muscularity than accepted in the regular men’s physique. The same rules and criteria as Men's Physique apply to the Muscular Men's Physique category with muscle size being the only differentiation. During National Events each contestant will be called out on stage one by one by the Master of Ceremonies. The competitor will proceed to preform an individual U-walk where the athlete will walk to the front and centre of the stage. He will perform four quarter turns, with optional pose of hand in pocket or on hip, finishing facing the judges. The competitor will then proceed to one side of the stage as directed by the Stage Director until all competitors have performed their U-walk. The Stage Director will then instruct the athletes to proceed to line up at centre stage. Athletes will stand in front pose facing the judges until instructed by the MC to perform each quarter turn. Posing should be fluid and relaxed with no tight flexing, this is not a bodybuilding class! The attire for all rounds is broad surfer style shorts. The shorts can be of any colour or material and must be knee length. Sponsor logos are not allowed. Tight short Lycra shorts are not allowed. No accessories or jewellery except for a wedding ring are allowed on stage. Piercings must be removed before going on stage. 1. for the muscular development he presents in proportion to his height and symmetry of the physique. 2. the way the athlete moves on stage i.e fluid and correct posing, confident stance and friendly relaxed demeanour. 3. whether the athlete can project his personality during his time on stage. 4. any defects which lead to markdown in points.